Come and experience the hospitality that can only be found at the Black Knight Inn. We offer a choice of deluxe accommodations from the 98 spacious rooms throughout our newly renovated interior, including our Business Class floor, elegant Executive suites, Jacuzzi suites and family accommodations with adjoining rooms. 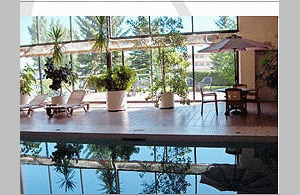 We also offer rooms for the physically challenged. Enjoy your favorite cocktail in our JB's Lounge and do not miss a truly memorable dining experience in Remington's Grill. 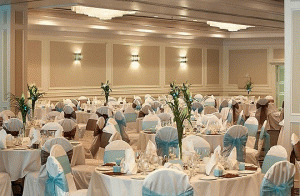 The Black Knight Inn has Meeting Rooms to accommodate anywhere from 10 to 1,000 people. Our Sales & Catering personnel can arrange all your Food and Beverage requirements for social or business functions. 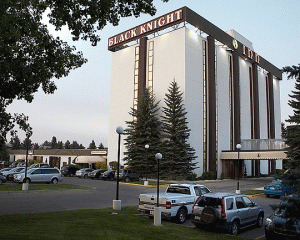 The Black Knight Inn overlooks the south hill of picturesque Red Deer, strategically located on the main north/south route through the city and just two minutes off Highway # 2. Red Deer is on the Red Deer River exactly halfway between Edmonton and Calgary. This enviable position and the beautiful parkland setting has made the city the Conference Capital of Alberta. Please visit Black Knight Inn Website.